THIS PRAYER PROMPT CONTINUES IN THE COMMENTS! The chapter goes on to talk about trusting in God, rather than following the world’s lead. 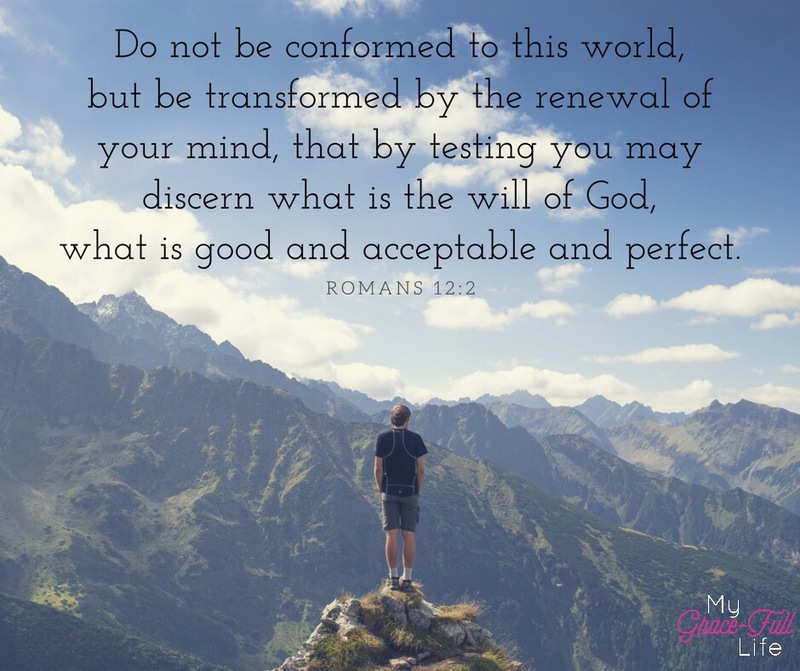 As I read it, I couldn’t help but think of how Christians really need to be careful not to fall in the trap of what the world finds acceptable and good. Whatever people want to do, it’s okay. We’ve empowered our me-centeredness to the point of no absolutes. There is no black and white, only a sea of murky grey. We’ve erased the boundary lines of right from wrong. After all, if we’re going to celebrate whatever “feels right” to the individual, we soon won’t have an argument against pedophiles or serial killers! How can we when we our culture’s moral compass doesn’t exactly point due-north anymore. The truth is clearly laid out in Scripture, but our world doesn’t want to hear it. Or at least the parts they don’t want to agree with. I recently read a church website which said they teach the “essentials” of the Bible and leave it up to the congregation to make their own decision on the “non-essential” doctrines. That’s a bold arrogance for a church to publicly state that the Bible can be cherry-picked. I firmly believe in this verse; I don’t read anywhere in it that God’s word is optional or obsolete. But, with all that said, there is a caveat to our world’s universal acceptance. The blatant hypocrisy is laughable but the world is completely blind to it. Trust in God’s plan because we know who wins in the end. Constant prayer in every situation and for the leaders of our countries, including the societal leaders such as actors and musicians who have such a profound influence on our culture. Today, as you pray, ask God to remind you to stay firm in His truth. And strong in your commitment to follow Him. Pray for the world around us – that people will open their hearts and minds to the never ending, all-encompassing grace and love of Jesus Christ. That we will experience a global and national revival that once again, sets the Biblical truths as the foundation upon which we stand.